Sometimes it would take a while after accelerating to highway speeds to decide to hit overdrive, but idk how much gears would help that. I'd agree with this. My 3.5L QX4 with the 4.363 gears had smaller (but heavy load E) 32's but it didn't seem to struggle at all. It seemed to cruise at higher speeds just fine, but I don't remember exactly since I learned to be happy at 70. If a set of nice gears had fallen in my lap I guess I'd have put em in, but I wouldn't necessarily go out of my way for it. 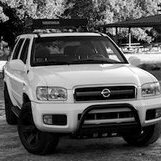 Not sure what would be involved in a 4wd conversion (biggest issue would be electronics in my opinion), but if you choose to do so you may want to look into if it's possible to do a Titan swap (popular with 2nd gen Xterra's) to get things beefed up and upgraded at the same time. As far as suspension, I'd recommend going with a small spacer lift from sfcreations.com or getting an Old Man Emu kit. 4x4parts.com may have more options too. 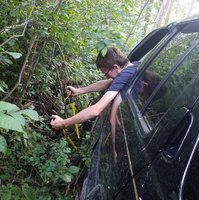 Since you're only 2wd with limited suspension travel, I'd highly recommend a CB or other radio for communication with your buddies on the trail (since you NEVER want to go alone), solid tow points front and rear, and then look into other things. Good offroad tires will make a massive difference too. Don't think there's a rear bumper or fender guard options commercially available, but if you like tube it shouldn't be terribly expensive to get a local 4x4 fabrication shop to knock them out for you. There may be others, but I think ARB is the only choice for a front bumper, so you may want to consider tube for that too, and sticking a winch on it. How much into wheeling do you intend to get? 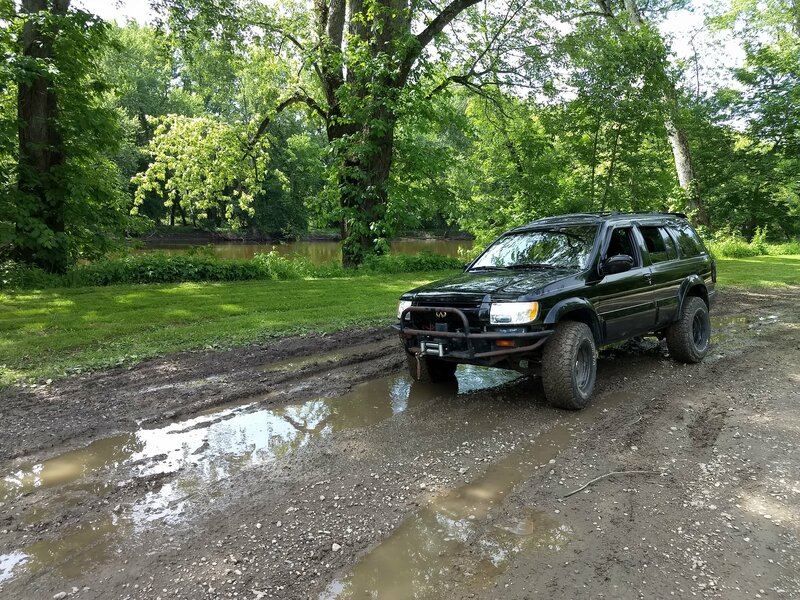 If you think this is something you'll really like and will want to take it to the next level without doing big fabrications, I'm sorry to say this but I'd suggest looking for at least a 4x4 R51, if not something with a solid axle out back. You'd be surprised where you can go with a smart line and good tires though. Welcome to NPORA! There is actually a lot of information about this topic here on the forum, just gotta poke around a bit. The long and short of it is, you're not gonna get more lift than that without an SFD, and even that is kind of pushing it depending on how you set it up; if you do that much lift with spacers expect CV damage if you actually go offroading. Since these vehicles are unibody, body lift is not an option. 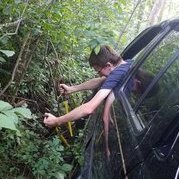 The "Land Rover Lift Springs" thread in this subforum is a great resource for information about an excellent lift option combos. Could it be leaky manifolds? Yeah, that got discuss here briefly a couple months back. Personally it reminds me of the XJ bumper look, which I like, but of course better executed. I really like how their bumpers looks on 4Runners, I'd be torn between that and what @hawairish is coming up with if I was doing it again. Mine did thus a few times. Can't remember if I ever found a solution, I think it would it would just work eventually. Looks pretty good, nice little (and cheap!) project. mjotrainbrain replied to naxrius's topic in New People Start Here! Moved to the more appropriate parts-wanted section from R50 FAQ's.